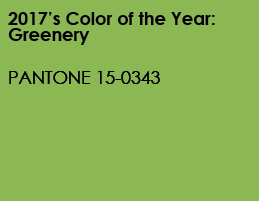 The color chosen as the new emphasis for 2017 is called Greenery: Pantone color number 15-0343 TPG. It’s a perfect color to toss into a room. 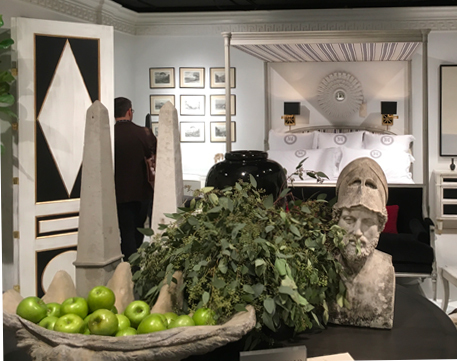 A nod to nature and freshness, it’s 2017’s answer to the last few years of soft muted colors and grey tones. The color Greenery reflects the influence of the organic that’s found in forms and textures, and even in our current fascination with organic food. It’s not lime, but it’s strong, and it reminds me of fresh young grass after a spring rain. Refresh your home with this perfect color to jazz up a room. For the first time in years the color of the year can be incorporated into any room. Most color schemes can add this color with amazing ease. Whether you are using earth tones, pastels or jewel tones, there are complementary and contrasting colors that blend well with Greenery. The easiest way to use this color? Add a few green plants to the room. 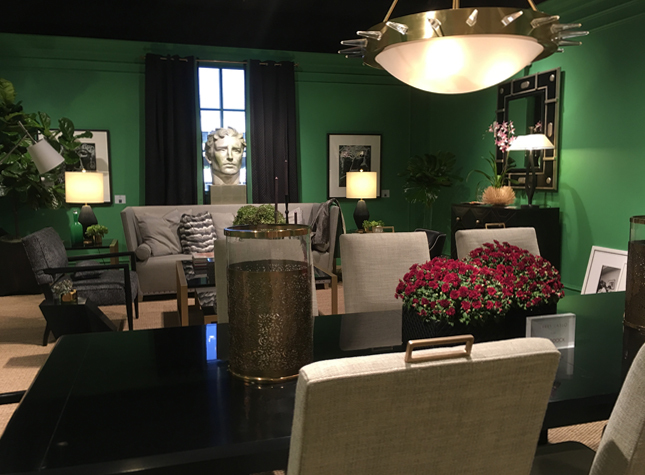 But if you want to make a statement, try a green glass vase, pillows and a touch of art work to emphasize this zippy new color that you will be seeing everywhere!